In Singapore last year they were trying to smash open a Durian fruit, this year it’s a big, saucy crab. 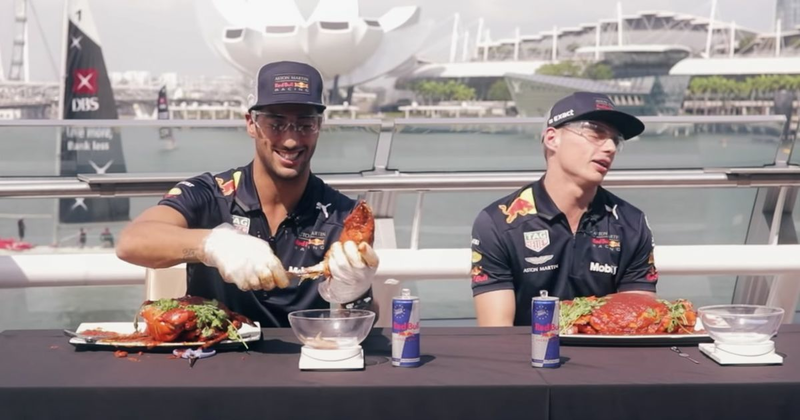 Whilst Ricciardo (who looks like a seasoned crab consumer) goes straight in with the cracker and mallet, Verstappen almost seems somewhat scared of it. Enjoy these two whilst it lasts before Ricciardo heads off to Renault next year - Pierre Gasly has some big shoes to fill!